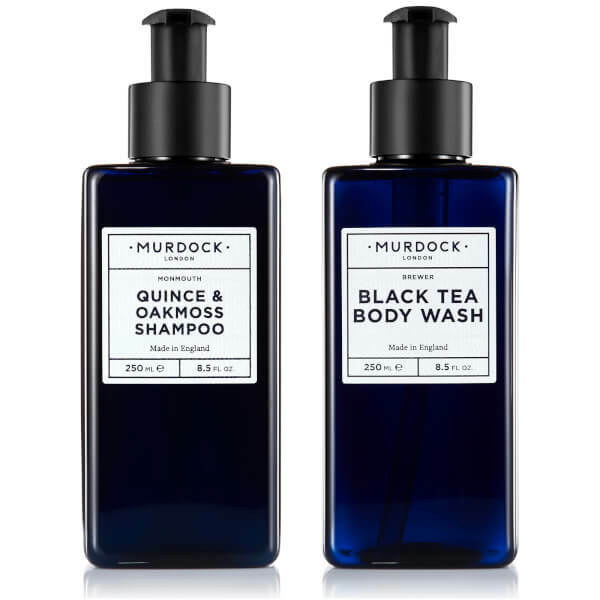 Refresh and revitalise with the Murdock London Shampoo and Body Wash Bundle; two of the brand's high performance products to leave you feeling clean from head to toe. 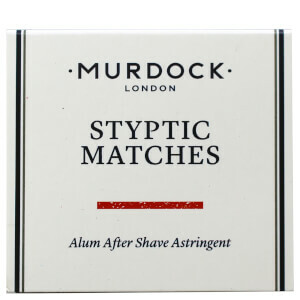 A foaming, sulphate-free formula that thoroughly cleanses skin without stripping moisture. 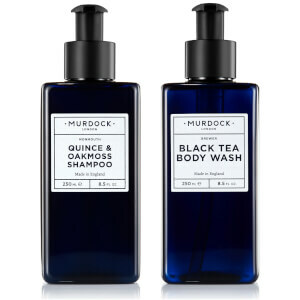 Creating a gentle lather upon contact with water, the invigorating shower gel effectively eliminates daily impurities, whilst imparting the brand's signature Black Tea fragrance to rejuvenate the senses with its spicy, woody accords. Shampoo: Massage two pumps into wet hair and scalp, rinse, follow with a conditioner.